I’ve mentioned before my love for astrology and all things zodiac. It’s certainly trendier now than it was when I was a teenager, but that doesn’t make it any less fun. Previous, I highlighted a number of great zodiac bookmarks. Now, let’s look at some gorgeous and fun zodiac notebooks. Because you can never have enough notebooks. 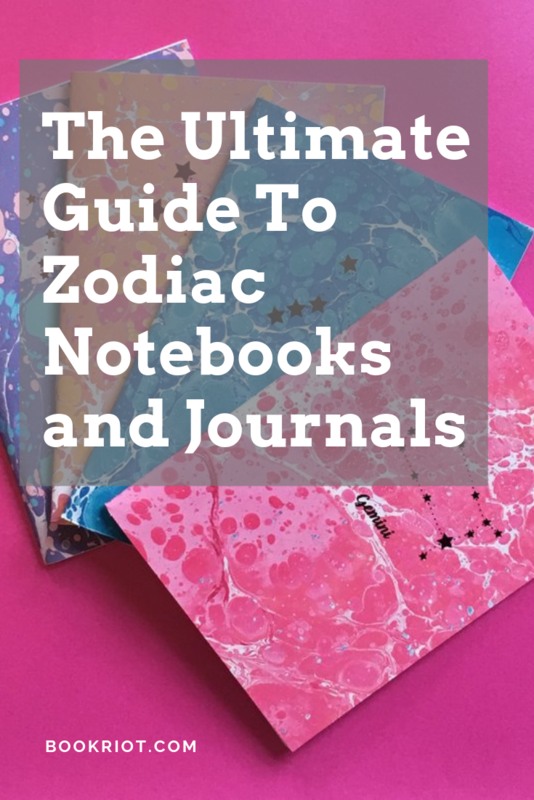 All of the zodiac notebooks below come for every star sign, unless otherwise noted. 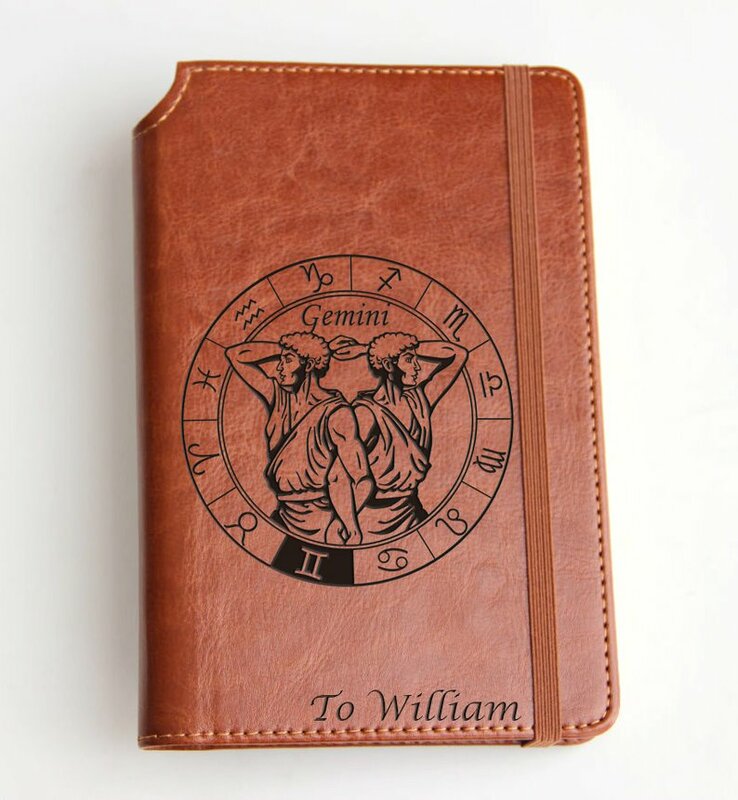 Get yourself a customized leather zodiac journal in a variety of color options. $21. 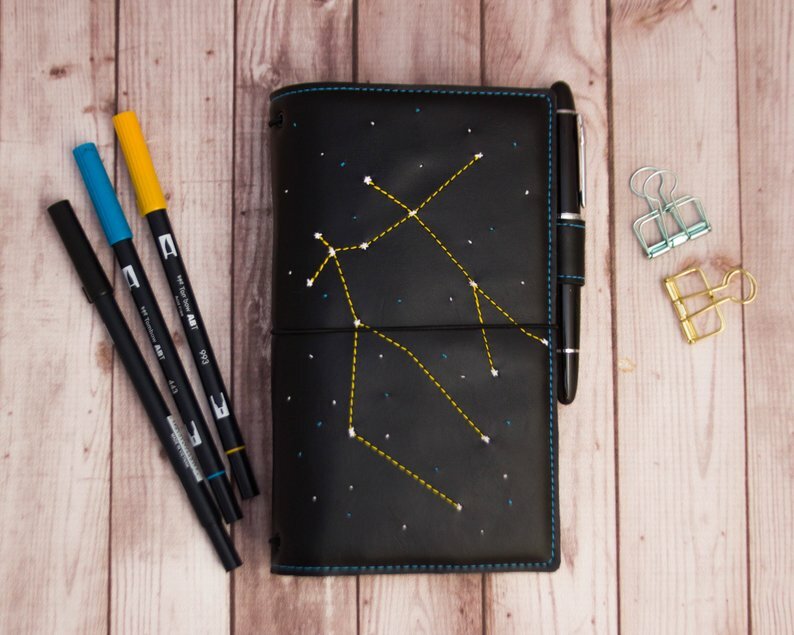 These leather zodiac notebooks are absolutely gorgeous and made from leather. Every single one of the signs makes me want it. $80. 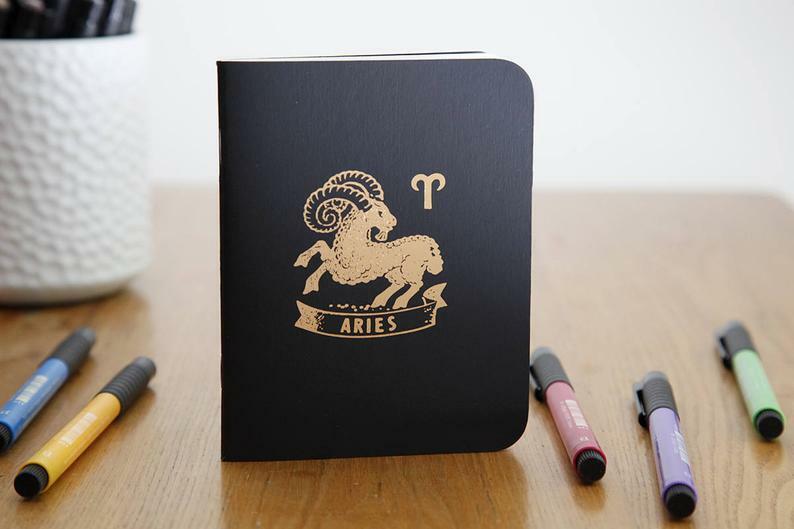 I’m into the light and airy feel of these zodiac journals. $12 and up. 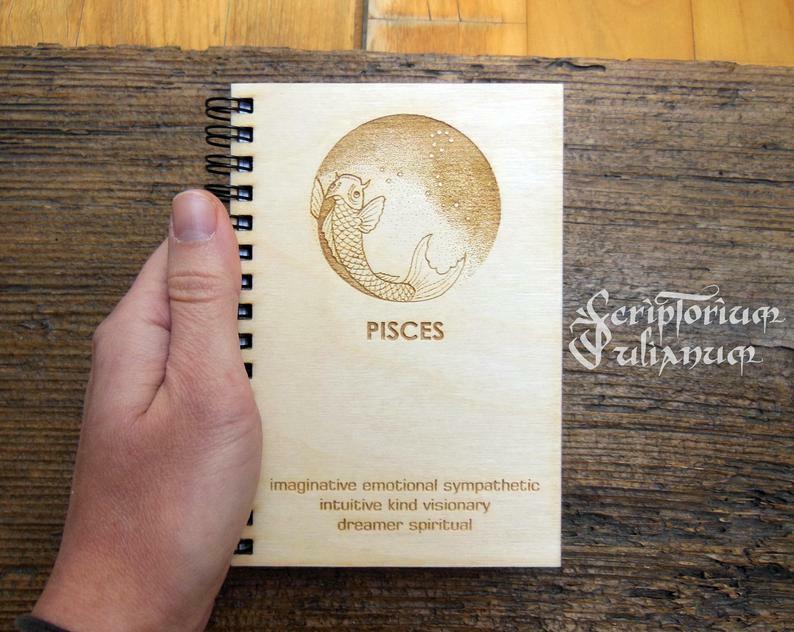 Pick your sign for these wooden cover journals. $14 and up. 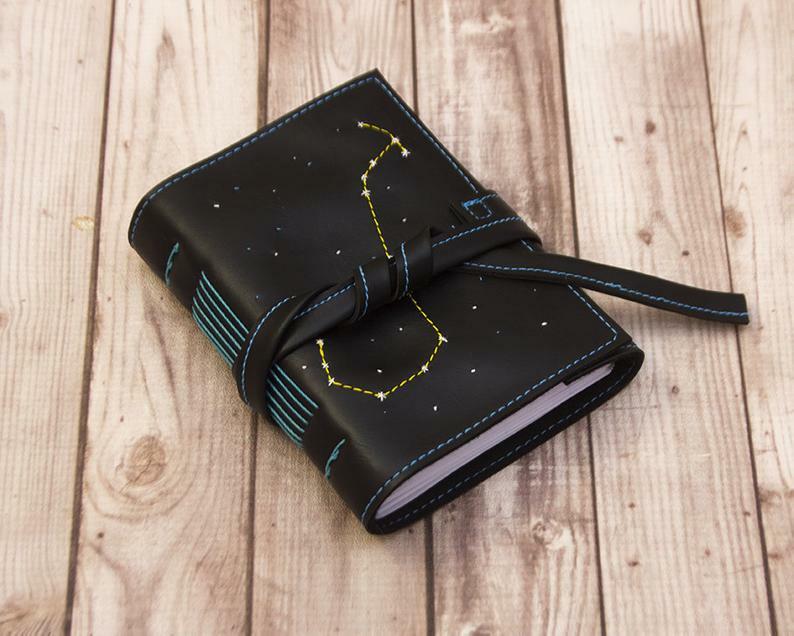 This constellation journal looks like it’d be perfect for all of your Important Business. 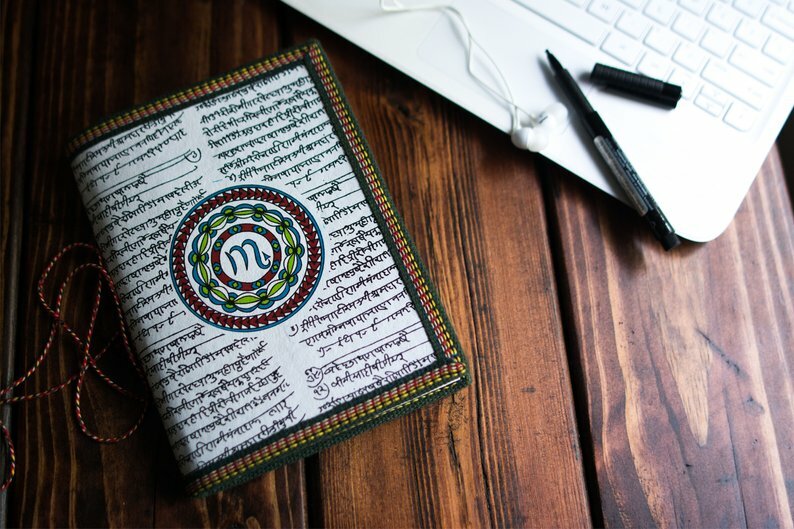 (If you’re heavily influenced by Scorpio like I am, you know that your life is filled with Important Business requiring a journal like this!). $47. 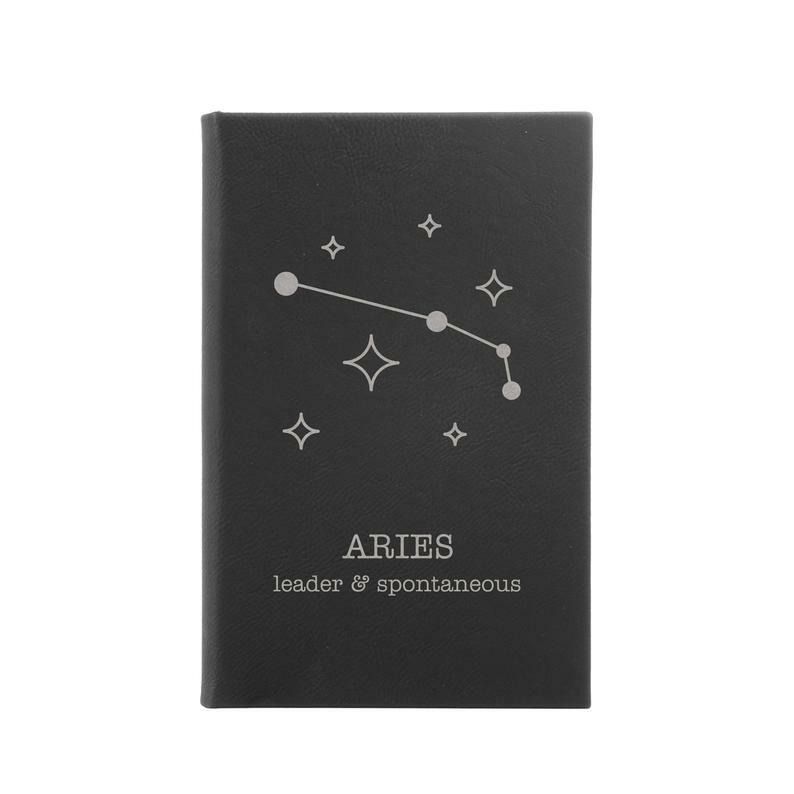 Need a pocket size zodiac notebook? This will fit that bill! $12. 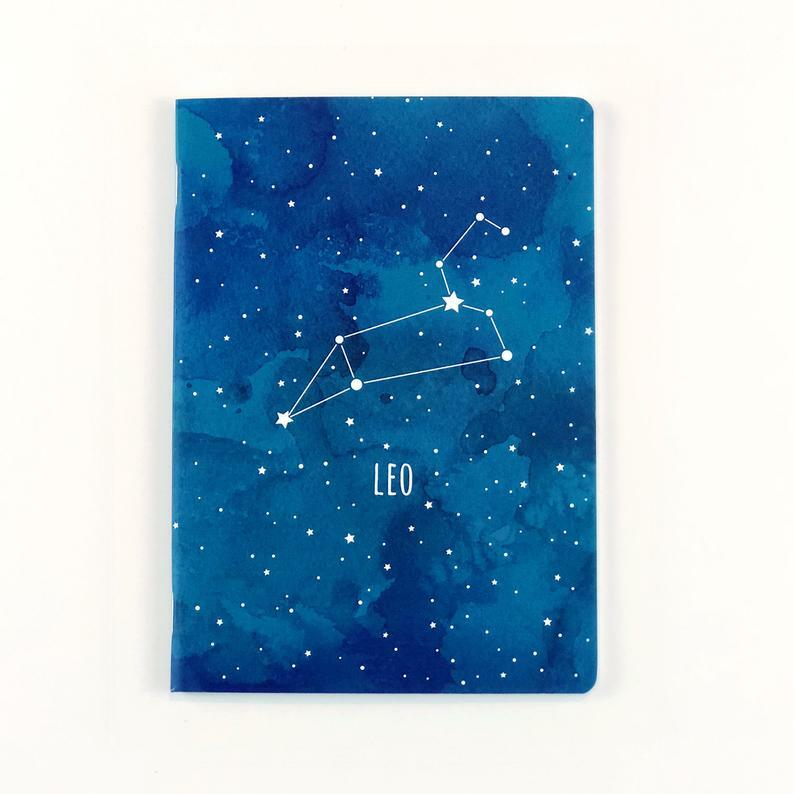 These star sign notebooks are dreamy. $16. 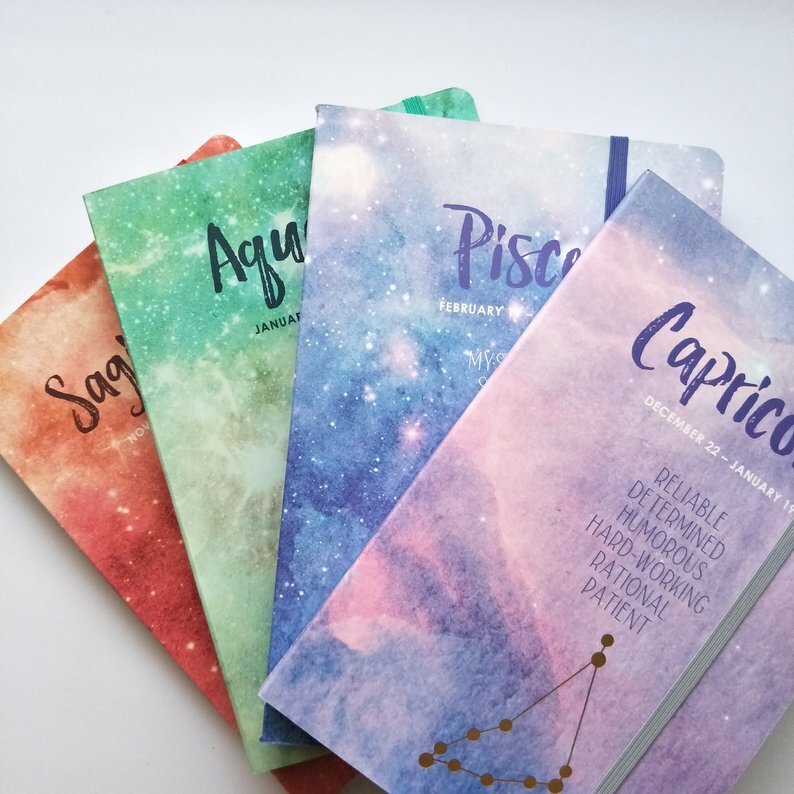 Choose your sign and choose your color with these personalized notebooks. $22. 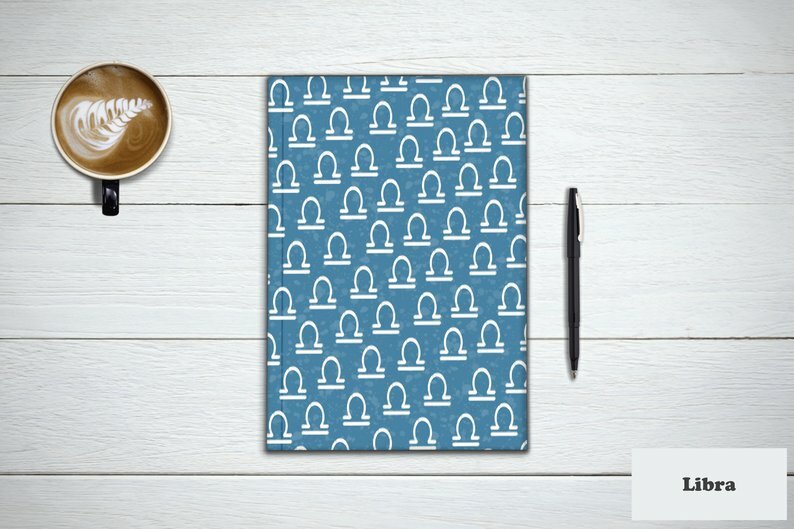 Although not zodiac specific, this starry notebook is one I just had to include. $22 and up. Sometimes the simplest notebooks can be the prettiest ones. $12.50 and up. Pick out three zodiac signs of your choice (or have them randomly picked!) 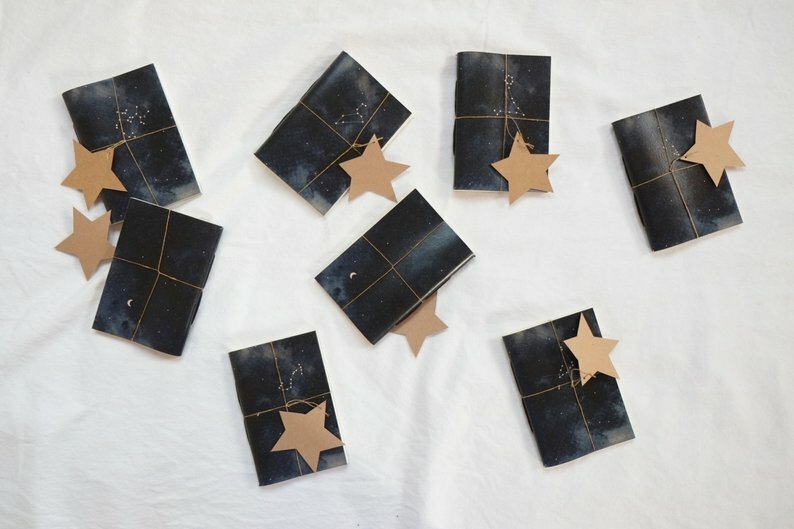 for a set of new notebooks. $11. 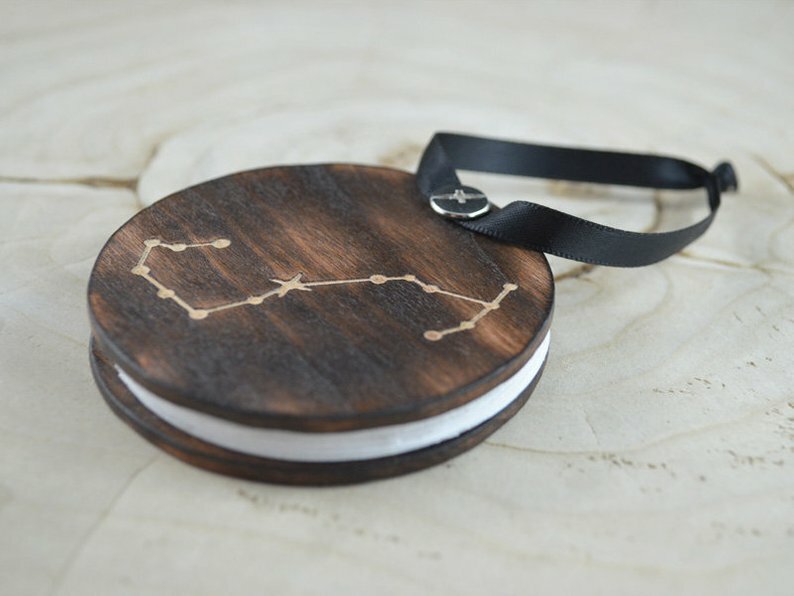 Another pretty zodiac sign journal option. $14. 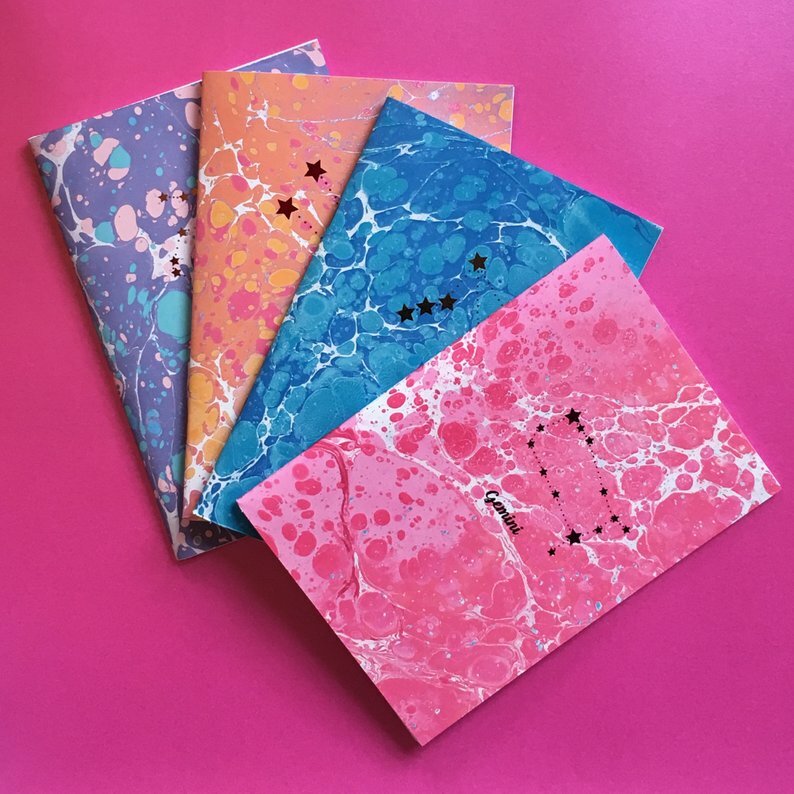 Marbling + iridescent foil = the perfect personalized star sign notebook. $16.50. 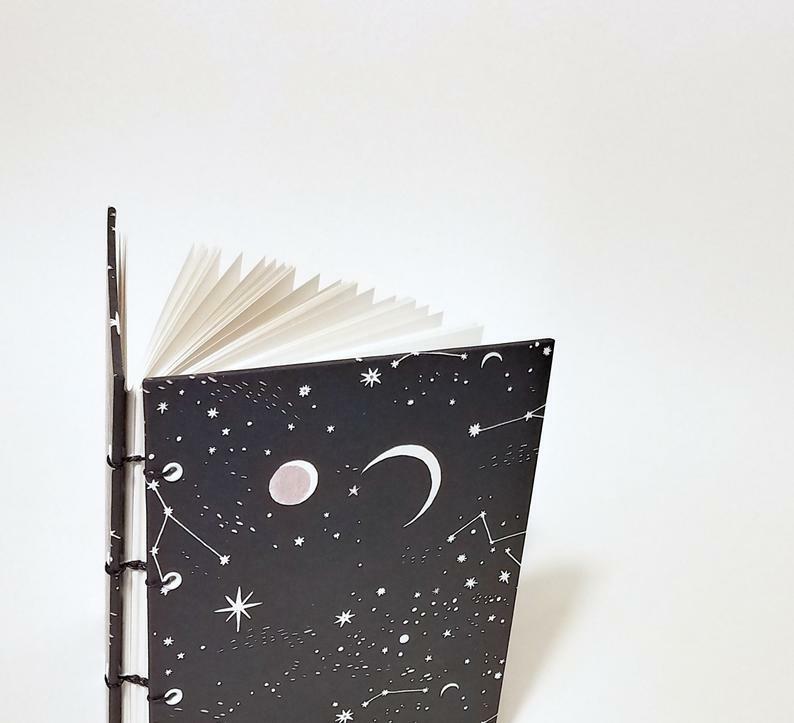 Customize and personalize this astrology journal to your heart’s desire. $40 and up. These ruled notebooks, well, rule. $9. Whatever your sign, you can pick up one of these simple, cleanly designed notebooks. $10. 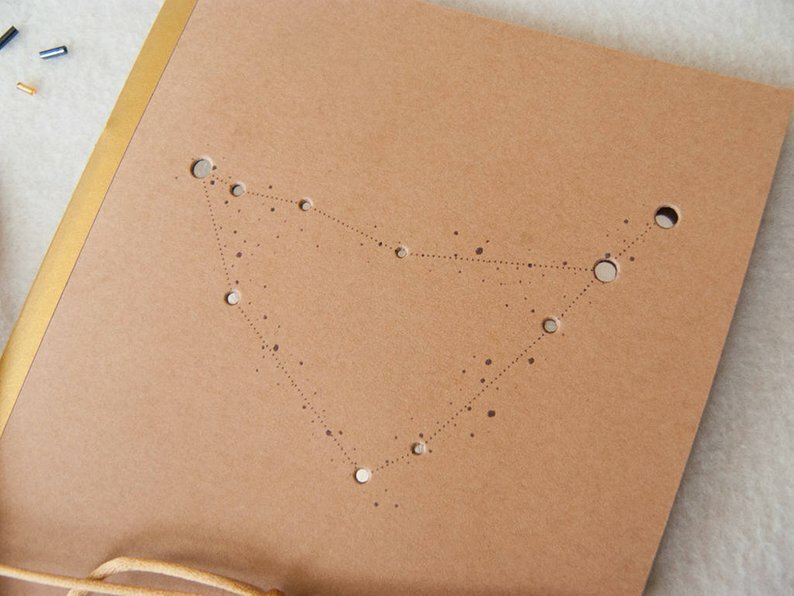 Grab a vegan, faux leather constellation notebook. $38 and up. 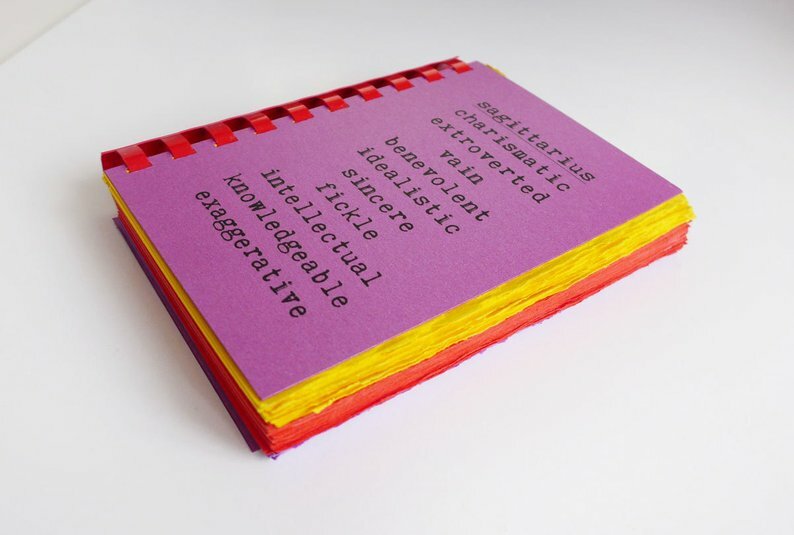 These handmade and hand combed journals feature not just the characteristics of each sign, but also the colors associated with those signs. $25. 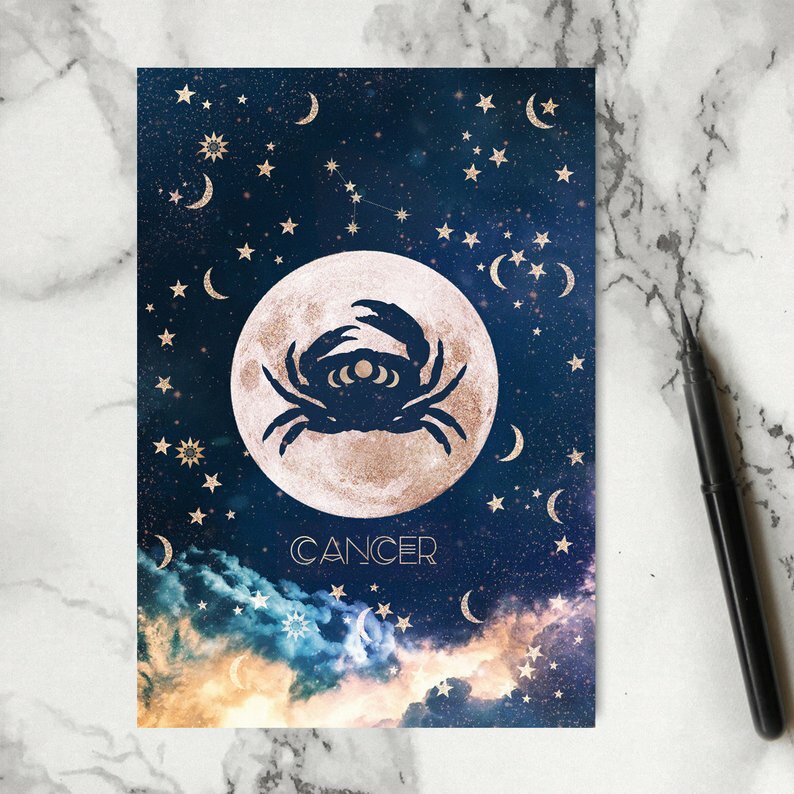 Your sign’s symbol within a moon. So celestial! $5. 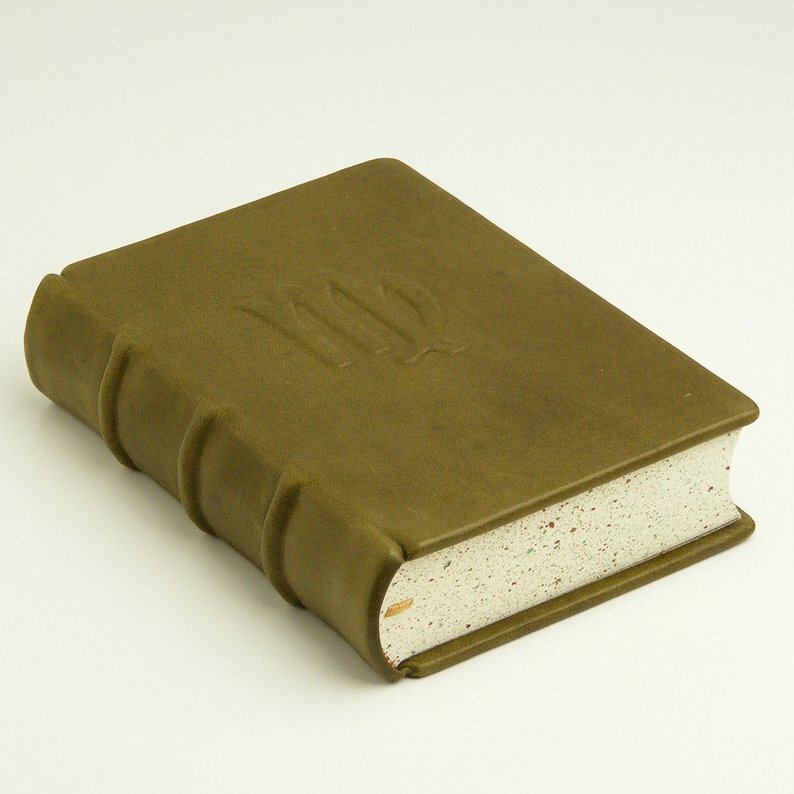 How unique and fun are these recovered wood notebooks? Pick your sign! $15.50. 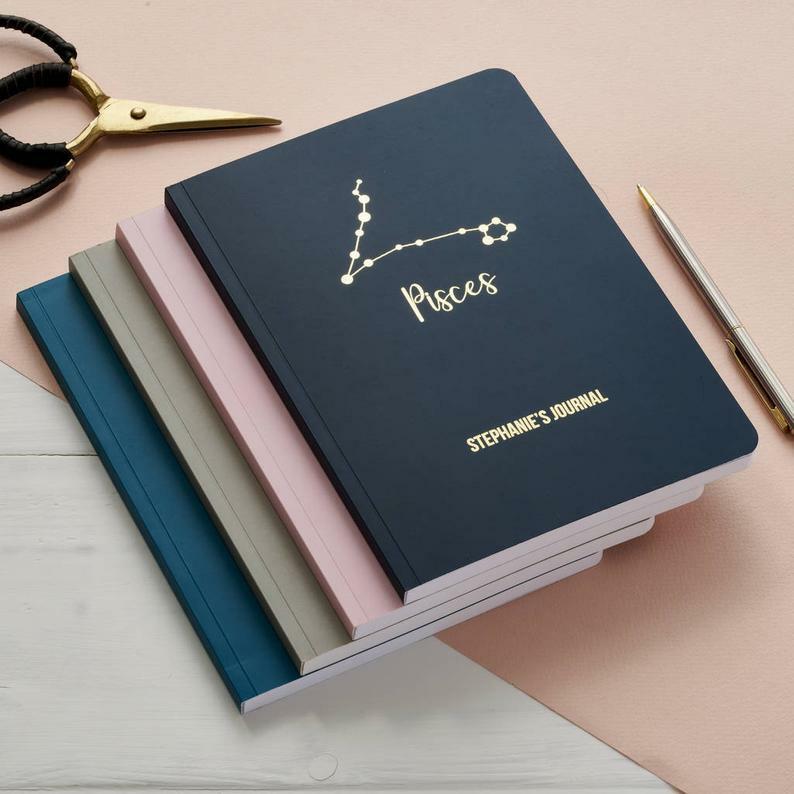 Your star sign and your birthstone in one notebook. $19 and up. 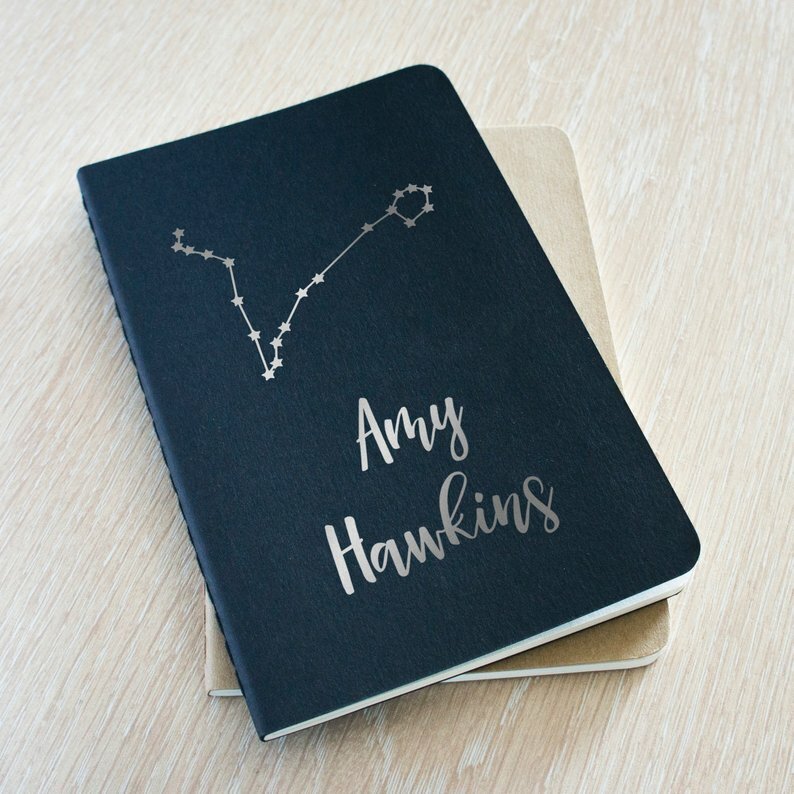 These zodiac notebooks are laser engraved with your sign and your name. $35 and up. Last, but not least, if you want to treat yourself, grab one of these medieval style journals that one reviewer called the most beautiful journal ever. $92. 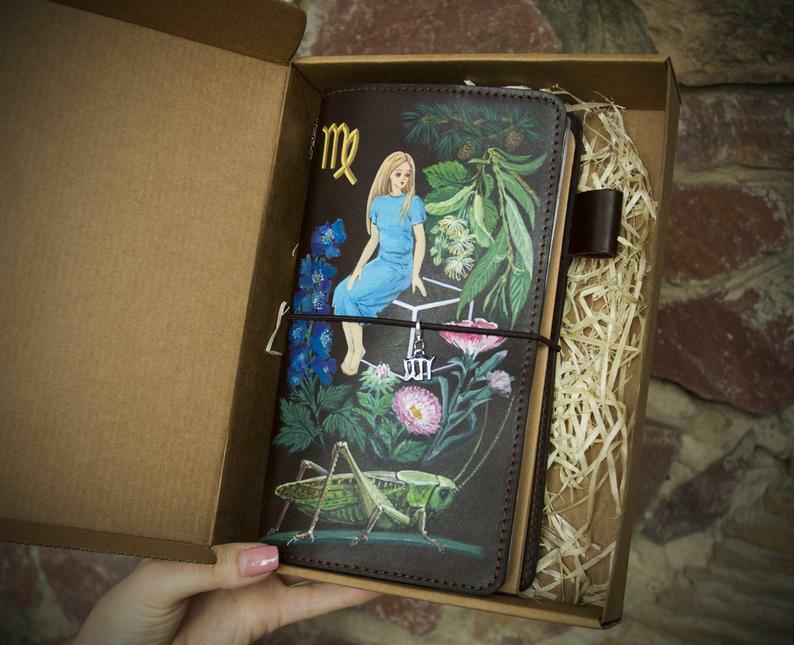 Want more amazing journals and notebooks? 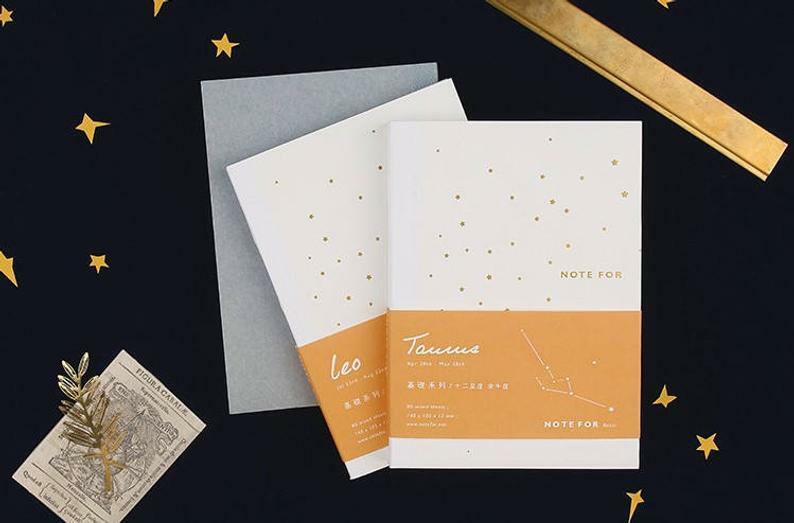 Check out these 20 gorgeous notebooks and these 10 exquisite notebook finds. Whether you’re dabbling in tarot cards and crystals or looking for some classic romance advice, these astrology books will guide you to find your best self using the power of the stars. 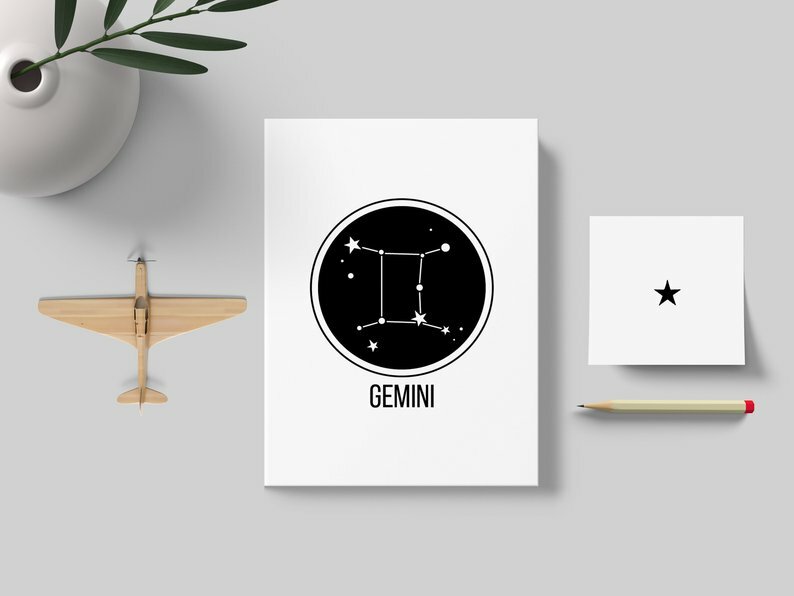 A complete overview of what exactly birth and star charts are, how to read your sign, and how to interpret the stars is a necessity for beginners. 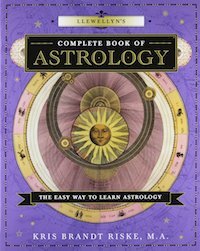 Llewellyn’s Complete Book of Astrology will give you all the basics and more, introducing astrology in a step-by-step way. Astrologer Riske covers planetary alignment, zodiac signs, and houses and aspects, and will guide beginners to interpreting their own charts and houses. Don’t know what any of that means? Great! The book also covers what the heck astrology even is and why people use it. If you are looking for a more visual approach, this lovely illustrated astrology guide is a perfect beginner’s guide to astrology, but it doesn’t stop with the basics. Providing readers with an introduction to reading their birth charts, the book then offers fresh perspectives on interpreting the signs and symbols to deepen self-awareness. 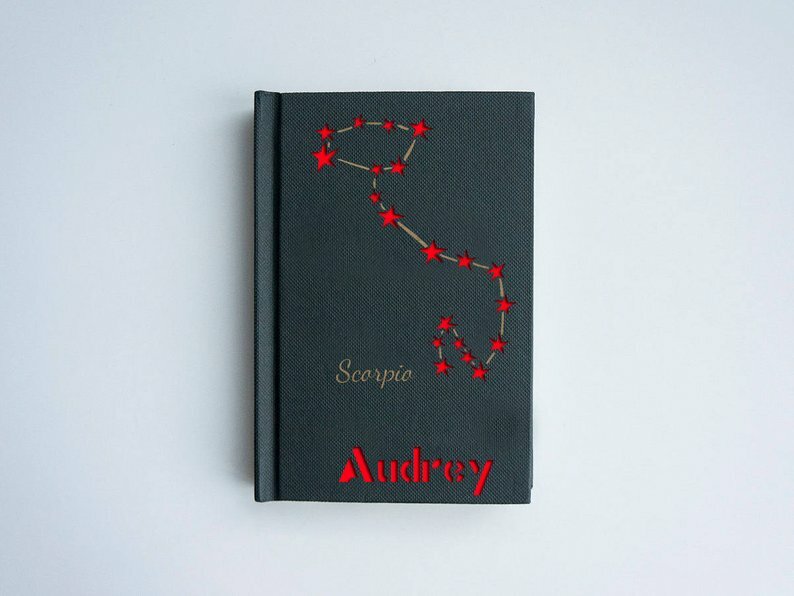 One of the ultimate classics, The Only Astrology Book You’ll Ever Need covers all the basics of sign compatibility in relation to health, money, lifestyle, and romance. It’s a well-loved classic in the space, is available in several languages, and is continually updated to reflect modern and changing beliefs in the world of astrology. My favorite thing about this astrology guide is not only the helpful information included, but the actual actions and things to do to improve your life and your surroundings. With helpful advice for which of your friends to take to a yoga class to what a self-care night means for your specific star sign, Woods has incredible and practical advice for everyone, beginner or expert. If you’re into listening, you can also find her on Stars on Fire, a podcast that discusses modern news headlines, celebrity culture, and more through an astrological lens. If you’re like me and a sucker for beautiful books, you’ll love The Signs. Using ancient wisdom of astrology and predictive astrology, Faulkner helps you use your birth chart and star charts to move past the basics and better align your goals, eliminate your stresses, and improve your decision-making skills. 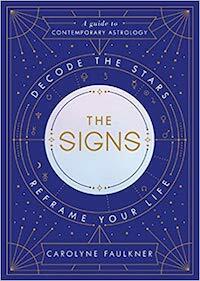 For practical-minded readers looking for a simple, modern approach, this astrology book should be your go-to resource. For the more numbers-focused out there, this astrology book focuses on birthdays, power days, and numerical profiles, satisfying the hearts of statistics lovers everywhere. Using the birthday forecast, readers can not only reveal their own personal strengths and weaknesses, but also learn about career positives, best ways to approach relationships, and more. 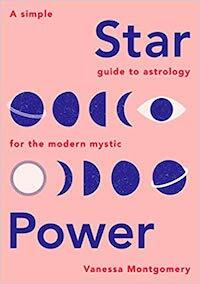 A smaller, more compact handbook, Star Power is a great astrology book for beginners, leading you through the basics of finding your house and chart. 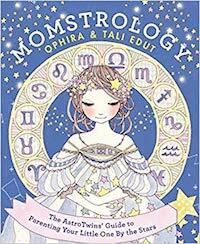 It also then dives into a more modern, feminine approach to astrology, analyzing the signs in relation to career growth (and how to navigate difficult waters as a woman in the corporate world), tracks planetary shifts and helps plan accordingly, and will guide readers to know more about themselves and plan for the future. 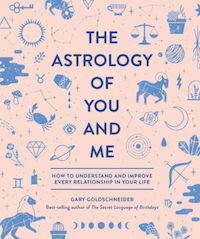 If you’re looking for a more specific astrology book on using your signs and stars to better your relationships, The Astrology of You and Me is an excellent resource. Whether it’s a spouse, partner, coworker, or friend you’re looking to improve your connection with, this book will help you navigate difficult conversations and differing personalities with ease. Sometimes all the birth charts and star signs and analyses can be overwhelming, especially for beginners. And sometimes you just want a fun book to kick back with to figure out how to approach your next date. Dixon-Cooper, otherwise known as Cosmo‘s bedside astrologer, has a delightfully funny read in Love on a Rotten Day. For a more casual astrologer just looking for some no-nonsense answers to will they or won’t they, this book will have your answers. Maybe you’re not looking for love in the stars, but understanding those who you’re closest with—your kid(s)! Momstrology (which also includes dads and caregivers) will not only help you find your chart and alignment, but it will also help show you your child’s. 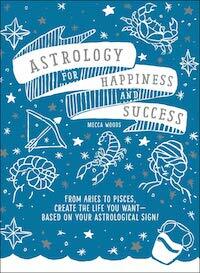 And most importantly, this astrology book explains how your charts relate and interact with one another. Combining modern astrology with parenting makes for a fun new approach to examining your parenting style alongside your kiddo’s personality. 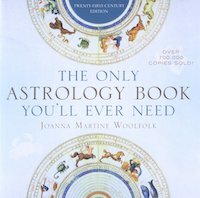 Need even more of the best astrology books and bookish astrology advice? Check out Susie’s horoscope book recommendations!